Lavery, J.M., Braithwaite, V., Miller, N., and G.J. Mason. In prep. Identifying enriched housing treatments for laboratory zebrafish (Danio rerio) that vary along a scale of preference. Lavery, J.M., Samways, K., Hayden, B., and R.A. Cunjak. In prep. Considerations for the use of Jordan-Scotty salmonid embryo incubators in research and conservation. “NB Naturalist Feature: Running the Salmon Gauntlet”. NB Naturalist Magazine Online, October 11, 2018. “CIHR does an about face on the value of face-to-face peer review”. Borealis Blog, July 25, 2016. “Studying Atlantic salmon eggs in Canada’s freezing winter – the forgotten study season”. Women Are Boring, May 13, 2016. “The future of fish farming”. Dive In: The Brunswickan, February 24, 2016. “A new plan for salmon”. Dive In: The Brunswickan, January 27, 2016. “The little fish with big potential”. Dive In: The Brunswickan, November 25, 2015. “The life or death lottery”. Dive In: The Brunswickan, October 28, 2015. “A Bay of Fundy MPA”. CPAWS NB Newsletter, Spring/Summer 2015. “Winter: The Forgotten Study Season”. The Fisheries Blog, February 9, 2015. “Why Is A Riparian Buffer Zone So Important?”. CPAWS NB Newsletter, Spring/Summer 2014. “Help Needed to Protect Restigouche”. CPAWS NB Newsletter, Fall 2013/Winter 2014. “Eggs-traordinary Fieldwork”. Dispatches from the Field, March 25, 2016. “Experimenting with Creativity”. Borealis Blog, February 8, 2016. “Summary of CCFFR-SCL”. CARS-AFS Blog, January 29, 2016. “CCFFR #Scicomm Session”. Storify, January 19, 2016. “2015 GradHacker Holiday Gift Guide”. GradHacker, December 21, 2015. “Always stay curious”. Dive In: The Brunswickan, September 30, 2015. “A summer science blog hit list: books, travel, and dinosaurs”. Borealis Blog, July 27, 2015. “Say Yes to the Reference Manager”. GradHacker, June 2, 2015. “Best of Both Worlds: Windows on a Mac in Five Variations”. GradHacker, May 17, 2015. “Don’t Expect Much When You’re Expecting”. GradHacker, March 5, 2015. “GradHacker Holiday Gift Guide: Personal”. GradHacker, December 18, 2014. “GradHacker Holiday Gift Guide: Technology”. GradHacker, December 11, 2014. “GradHacker Holiday Gift Guide: Professional”. GradHacker, December 4, 2014. “Grab Your Partner: STEM Connections Outside Academia”. GradHacker, November 13, 2014. “Where Storytelling Meets Science”. GradHacker (with Lesley McCollum), September 23, 2014. “NSERC: The Canadian Grad Student’s Holy Grail”. GradHacker (with Hanna Peacock), September 22, 2014. “So You’re Famous – Don’t Panic”. GradHacker, September 18, 2014. “On Sexual Harassment and Fieldwork: Being an Ally”. GradHacker, August 21, 2014. Please contact me for PDFs. Lavery, J.M. and Cunjak, R.A. March 2016. Abiotic factors associated with mortality of wild Atlantic salmon (Salmo salar) embryos in the Miramichi River. Miramichi Science Day, Chatham. Annis, A.D., Lavery, J.M., Nafziger, J., and Cunjak, R.A. March 2016. A developmental metric of early Atlantic salmon (Salmo salar) ontogeny based on external morphology. Science Atlantic Aquaculture & Fisheries and Biology Conference, Halifax. Lavery, J.M. and Cunjak, R.A. January 2016. Abiotic factors associated with mortality of wild Atlantic salmon (Salmo salar) embryos in the Miramichi River. Canadian Conference for Fisheries Research, St. John’s. Lavery, J.M. and Cunjak, R.A. May 2015. Egg mortality and development of Atlantic salmon (Salmo salar) in the Miramichi River system. Miramichi Salmon Association’s Science Day, Boiestown. Lavery, J.M. and Cunjak, R.A. April 2015. Egg mortality and development of Atlantic salmon (Salmo salar) in the Miramichi River system. UNB Graduate Research Conference, University of New Brunswick. Lavery, J.M. and Cunjak, R.A. January 2015. Egg mortality and development of Atlantic salmon (Salmo salar) in the Miramichi River system. Canadian Conference for Fisheries Research, Ottawa. Sivarajah, B., Lavery, J.M., Kurek, J., Rühland, K.M., and Smol J.P. January 2015. Temporal and spatial assessments of didymo blooms in eastern Canada. Canadian Conference for Fisheries Research, Ottawa. Lavery, J.M. and Cunjak, R.A. November 2014. Egg mortality and development of Atlantic salmon (Salmo salar) in the Miramichi River system. Atlantic Salmon Forum and Workshop, Amherst. Lavery, J.M. and Cunjak, R.A. August 2014. Egg mortality and development of Atlantic salmon (Salmo salar) in the Miramichi River system. 144th Annual Meeting of the American Fisheries Society, Québec City. Lavery, J.M. and Cunjak, R.A. April 2014. Egg survival and development of Atlantic salmon (Salmo salar) in the Miramichi River system. UNB Graduate Research Conference, University of New Brunswick. Lavery, J.M., Gibson, L., de Guzman, L., Ly, C., and MacDougall, K. March 2013. Reintroduction of Atlantic salmon to Lake Ontario. Inquiry@Queen’s Research Symposium, Queen’s University. Lavery, J.M. January 2013. Investigating blooms of the diatom Didymosphenia geminata using lake sediments from Gaspésie, QC. 3rd Annual Water Research Centre Student Symposium, Queen’s University. Lavery, J.M. and Cunjak, R.A. October 2014. Egg mortality and development of Atlantic salmon (Salmo salar) in the Miramichi River system. 11th Annual Meeting of the Canadian Rivers Institute, Charlottetown. Lavery, J.M and Smol, J.P. February 2013. Lake sediments provide environmental context to recent algal blooms of Didymosphenia geminata. Queen’s University BIOL537 Honours Thesis Research Symposium, Queen’s University. Lavery, J.M. and Gillis, C.A. November 2014. Impacts of Freshwater “Invasive” Species. Stream Structure and Function, Brock University. Lavery, J.M. and Cunjak, R.A. November 2014. Egg mortality and development of Atlantic salmon (Salmo salar) in the Miramichi River system. Fish Biology, University of New Brunswick. Lavery, J.M and Mason, G.J. April 2018. 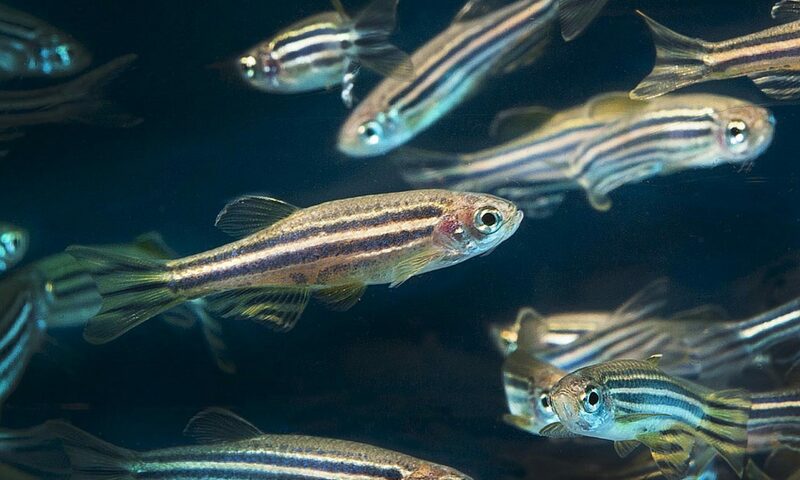 Investigating the welfare, cognitive, and neurological effects of rearing zebrafish (Danio rerio) in environments containing their preferred enrichments. Animal Behaviour and Welfare Discussion Group, University of Guelph, Guelph. Lavery, J.M., Samways, K., Corey, E. and Cunjak, R.A. November 2014. Environmental impacts of, and on, Atlantic salmon. Seminar. Mount Allison University, Sackville. Kurek, J., Lavery, J.M., Rühland, K., Gillis, C.-A., Pisaric, M., and J. Smol. January 2014. Benefits of a long-term perspective in understanding the ecological phenomenon of “rock snot” in Eastern Canadian salmon rivers. Seminar. Acadia University, Wolfville. Kurek, J., Lavery, J.M., Rühland, K., Gillis, C.-A., Pisaric, M., and J. Smol. October 2013. The mystery of “rock snot” in Eastern Canadian salmon rivers. Seminar. Queen’s University, Kingston. “Falls Brook Centre hosts eighth annual Free School in Glassville”. The Bugle-Observer, July 18, 2016. “Annual event looks to educate youth on salmon conservation”. Global New Brunswick – News at 6, June 26, 2016. “Run to raise funds for salmon conservation lessons for NB youth”. The Daily Gleaner, June 26, 2016. “On The Cusp of Climate Change”. The New York Times, September 22, 2014. “Reimagining Didymo in Salmon Rivers”. ASF River Notes, June 11, 2014. “Michelle Lavery on Rock Snot”. The Lunchbox, March 12, 2014. “Study: Rock snot blooms may result from climate change, not anglers”. Outdoor Canada, March 12, 2014. “DIDYMO, LA VISCIDA ALGA CHE STA INVADENDO IL CANADA PER COLPA DEI CAMBIAMENTI CLIMATICI”. GreenMe.it, March 12, 2014. “River Algae Known as Rock Snot Boosted by Climate Change?”. National Geographic, March 11, 2014. “Rock Snot Gets a Boost from Climate Change”. Scientific American (ClimateWire), March 10, 2014. ““Rock snot” is the grossest climate change effect we’ve ever seen”. Grist, March 6, 2014. “‘Rock Snot’ Infestation Caused by Climate Change, Study Suggests”. Yahoo News, March 5, 2014. “What’s causing Canada’s ‘rock snot’ infestation?”. Mother Nature Network, March 5, 2014. “Michelle Lavery on Rock Snot”. Todd Veinotte Show, March 5, 2014. “‘Rock Snot’ Infestation Caused by Climate Change, Study Suggests”. Discovery News, March 4, 2014. “‘Rock Snot’ Infestation Caused by Climate Change, Study Suggests”. Live Science, March 4, 2014. “NB Newsmaker”. CBC New Brunswick News, February 28, 2014. “‘Rock snot’ found to be native algae species in N.B.”. CBC News, February 28, 2014. “Researchers debunk argument of an invasive algal species in rivers and lakes”. Phys.org News, February 27, 2014. “”Rock Snot” in Rivers & Lakes May be Linked to Global Warming”. Kingston Herald, February 26, 2014. “L’algue didymo dans les rivières serait due aux changements climatiques”. INRS News, February 26, 2014.